For the moto-lover in you. View from the driver's seat. 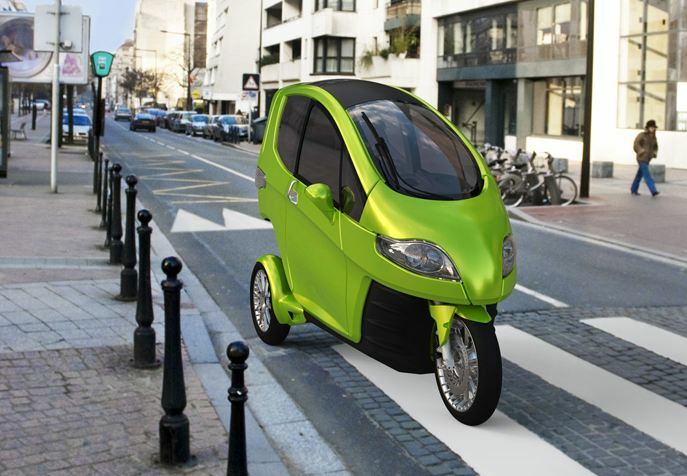 As you know, we are always on the look out for new innovations in the world of “green” transportation. Recently, we found the Tilter, a fantastic creation by French entrepreneur, Eric Rose. 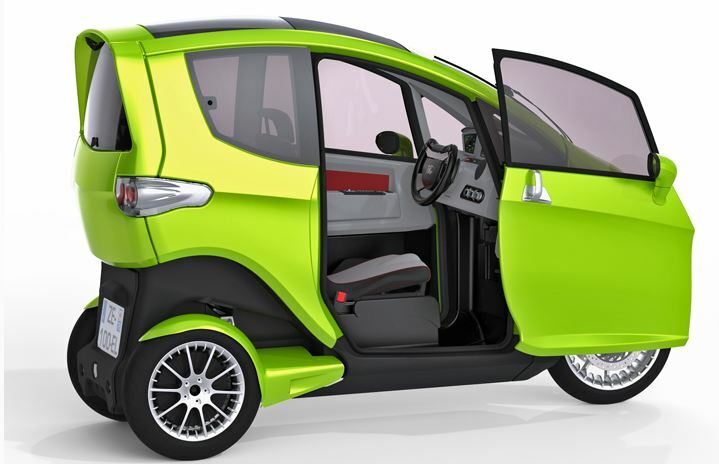 The Tilter is an all electric, motorcycle-car which provides the driver with a top speed of 68 miles per hour and travels 0-60 in 13 seconds. A fully charged battery lasts for about 80 miles so the driver has some room to roam around town. 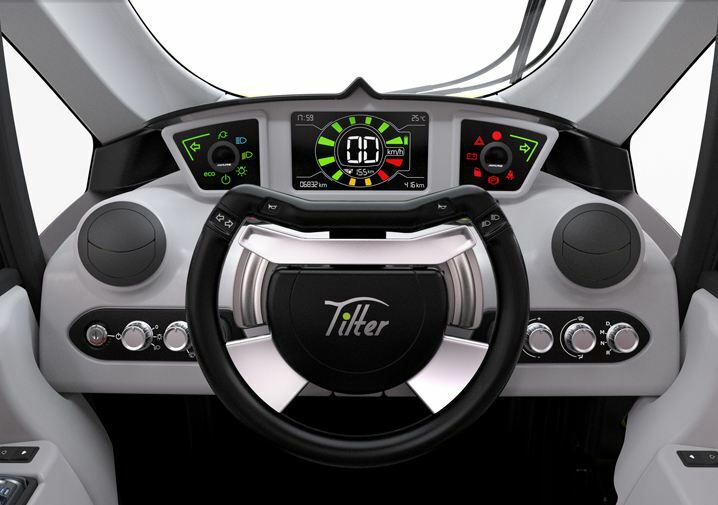 Mass production of the Tilter should begin in 2012. So get ready, you may be seeing this 3 wheeled beauty zipping around pretty soon. Looks like you can park anywhere. Comfortably enter even in the tightest spaces. I’ve seen the design of a similar ride but it was not an electric engine. Either way, very cool! Very cool indeed. We have also seen some similar designs but the electric engine takes it to another level. We would definitely love to go for a test run. Thank you for your interest and your article about the Tilter. Don’t hesitate to join us on our facebook page or newsletter ! A very nice concept, and finished looking vehicle. I would LOVE to have one, but am a bit ‘concerned’ that after over a year of publicity and a major Auto Show, I have yet to fine even ONE video of it actually in motion and ‘Tilting’ down the road. Their newsletter says that they will have a ‘test drive’ for the press by the “end of the year”; so hopefully we will have some confirmation of their claims….SOON! Enter your email address to subscribe to the Extrememoto, Inc. blog and receive notifications of new posts via email.